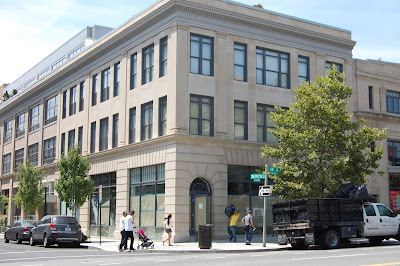 Cork & Fork is planning a third location at the corner of 14th and Church streets. Ok, folks. Hold onto your wine glasses because this may get a little confusing. Metrocurean broke the news back in May that the owners of Cork Wine Bar will open Cork Market this fall just up 14th Street from their restaurant. But there's more cork to go around on 14th Street (maybe it'll become an oenophile destination?) with the latest development: the owners of Cork & Fork, a wine shop with locations in Gainesville, Va., and Bethesda, are planning to open a third store at 14th and Church streets, just a few blocks south of Cork Wine Bar. Owner Anna Landragin tells Metrocurean that they hope to open in December. "The difference between us and the other stores is that we are winemakers," she says. "We come from generations of winemakers." Her husband, Dominique, was a Champagne maker, and the pair founded Yellowglen in Australia, producing sparkling wine in the methode champenoise. The shop will be similar to the other two locations. Prices on Cork & Fork's wines at the Bethesda store range from $8.99 on up to $125. And Landragin is fond of carrying small production labels. "I am concentrating now on people who don’t make more than 300 cases." Um. Why? Cork (restaurant) has the independent community vibe going and great food. Whole Foods is right there. Hrm. Don't see the need. 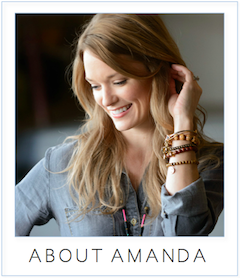 Thanks Amanda for again bringing us up-to-date news. This is really interesting, I am surprised someone would move into this neighborhood, especially just weeks after Cork Wine Bar announces its new Cork Market (as you mention in the beginning). It is great that DC is finally getting good wine, but I would have thought the Hill, or even Georgetown, both seriously underserved, would be better locations. Today I go all the way to Arlington as it is the closest place with a decent outlet for my wine. And, of course, why not Bethesda where they can leverage their brand? This seems a very strange marketing approach. Are they trying to just exploit Cork Wine Bar's success? It does seem a little more than coincidence that we hear this after Cork wins a Rammie. Not to mention using the name Cork. That is just plain stupid. I'm betting that they didn't know about the other market and vice versa. When biz owners find a good retail space (which both got), they take it and may not have known what else was opening around them. Esp since neither market has taken shape. How could they not know? Don't the brokers for all these deals know the lay of the retail land? Last week I went into the Cork & Fork in Bethesda to find a birthday gift for my friend at Capital Spice. I was decidedly unimpressed. There was barely any "Fork" and what little merchandise was there was greatly overpriced. I probably could have been talked into purchasing some "Cork", but when I walked into the store there were 3 people at the front who appeared to be the owners of the store, conversing in French. As I walked into the store, all three looked at me, and uttered not a word of greeting. I spent the next 10 minutes as the only customer in the store with nary an inquiry if I needed help. I left without purchasing anything, and a very cold feeling from the place. There never seems to be anyone in the new Bethesda store, I'm surprised they are even considering expanding. Great blog you got here. It would be great to read a bit more about this theme. Thanx for sharing this material. Ummm, Anonymous - what is your prob? They OWN Cork Wine Bar, so they are actually expanding their brand by opening the wine store. I also wouldn't say Whole Foods is the answer to fine wines. Like everything else there, it's novel and somewhat organic...but great interesting wine? AND longs lines? AND large corporation? You are a contridiction.